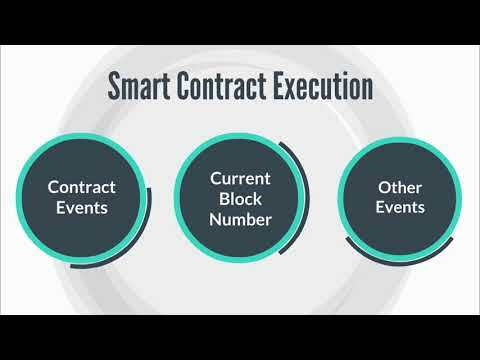 A fundamental gap in technology has finally been solved on the Ethereum Blockchain as reliable scheduling of smart contracts has become a reality. DApp City announced the successful launch of Ping Chain (www.pingchain.co) to provide Smart Contract Execution as a Service. Ping Chain offers blockchain developers a variety of events that can be monitored and used as triggers for remote execution. The core event type - time intervals - is live today on the Ethereum main net and Ropsten test net. The time interval event type allows developers to execute their smart contracts code on a regular interval, such as every minute or every day. A fundamental gap in technology has finally been solved on the Ethereum Blockchain as reliable scheduling of smart contracts has become a reality. DApp City announced the release of Ping Chain to provide Smart Contract Execution as a Service. Ping Chain offers blockchain developers a variety of events that can be monitored and used as triggers for remote execution. The core event type - time intervals - is live today on the Ethereum main net and Ropsten test net. The time interval event type allows developers to execute their smart contracts code on a regular interval, such as every minute or every day. Demand for this service has been growing since the gap was identified in 2015 on multiple developer forums and message boards. Over the years, there were several attempts to fill this gap, but the solutions proved to be unreliable and their creators have since abandoned the projects. The problem remained unsolved, until today. In addition to time intervals, Ping Chain offers developers other events that can be used to trigger smart contract execution, including block number and log events emitted by other contracts. Planned enhancements include bringing off-chain notifications to on-chain events such as webhook callbacks, sms messages, and alerts via email. DApp City builds companies and products that push the boundaries of blockchain technology. With a focus on research and development, the Los Angeles-based startup studio identifies commercialization opportunities and takes only working products to market. The experienced and talented team takes pride in their work - No vaporware or ICOs based purely on grand promises of the future. Ping Chain is fully functional and usable on the Ropsten Test Network! Time-Based Triggers - LIVE ON MAI NET! Ping Chain is fully functional and usable on the Main Ethereum Network!